My 14-year-old daughter inspires me daily. Whatever she takes on, she does so with strategy, focus and determination, whether it’s her academics or extracurricular activities like music or sports. She’s even taught me how to pack my own luggage and carry-on bag, methodically removing whatever she thinks I should be able to live without for two days or two weeks. 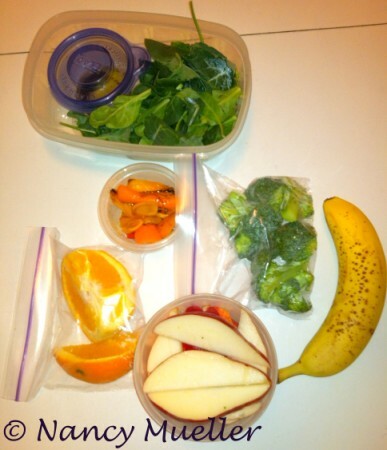 Lately I’ve been watching what she packs for lunch before school each morning, forgoing the sweets in favor of more nutritional snacks like fruit and vegetables. She even passed on the slice of pie that her math teachers offered in honor of “Pi” Day yesterday. Once again, I realize how much I can learn from my daughter. And sometimes – shhh! – promise not to tell – I even sneak in a little cookie, because unlike my daughter, I still enjoy just a tiny taste of something sweet to cap it all off. For more fun Friday photos, be sure to check out Delicious Baby. How about you, Wanderboomers? 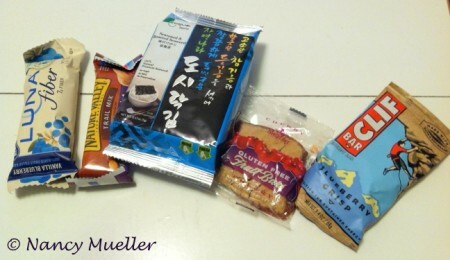 What are your favorite take-along snacks when you travel? Wow, I admire your daughter! Both my teens still want cookies and chips in their lunch every day – but I guess I can’t blame them since they probably got that gene from me! Ha – I know just what you mean, Sonja! With my teenage daughter, I often ask myself who’s the role model here!? When I think of what I ate at her age . . . These are all excellent suggestions and so easy to take along. Full disclosure here: if there’s a Starbucks nearby, I add a skinny mocha to my snack pack! Oh, yeah, I’m with you on the Starbucks, Patricia! A skinny mocha latte always does the trick for me :-). Such good advice! Travel turns your schedule upside down and having a few of these gems tucked away in your luggage can make all the difference in a day. 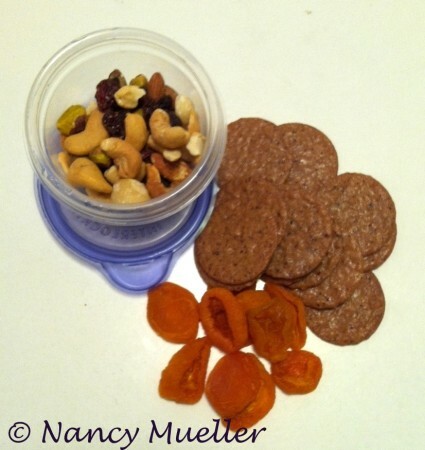 Great ideas – I’ll be on a very long flight this weekend,and I’ll definitely be making my own snack-pack so I can stay away from all that salt and carbs they hand out. Yech! What was in your snack pack, Lauren? Were you able to avoid that extra salt, sugar & carbs?